What I enjoy most about this study is that it is one of the first incremental movement studies I drew. Since I drew this out before reading any “how to” diagrams or text, these drawing have a certain “freedom” to them that seems to be lacking from my other studies. 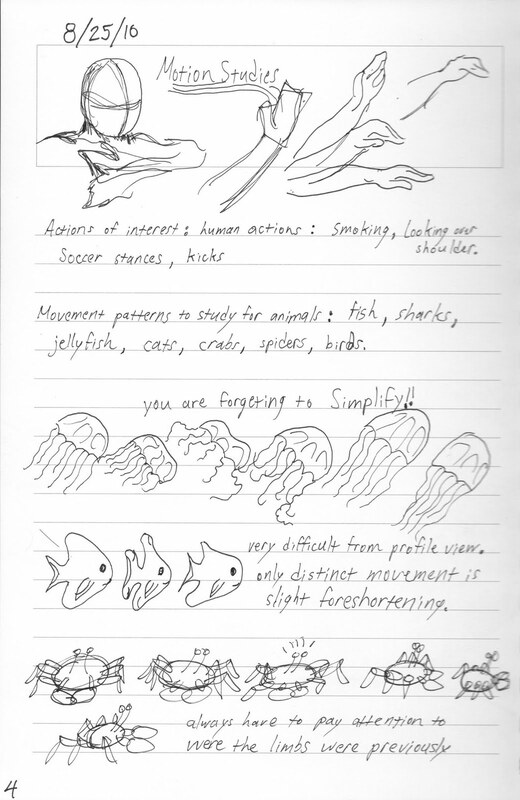 Plus, I greatly wish to further study some of these more complex animal movements. For example, the fish mainly gains the illusion of movement based on its progression through the space around it. This was one conclusion I made while doing this study. I like the range of subjects. And it's a good idea to keep notes.